This is a very office friendly look. The Navy blazer goes extremely well with the light blue dress shirt underneath it. 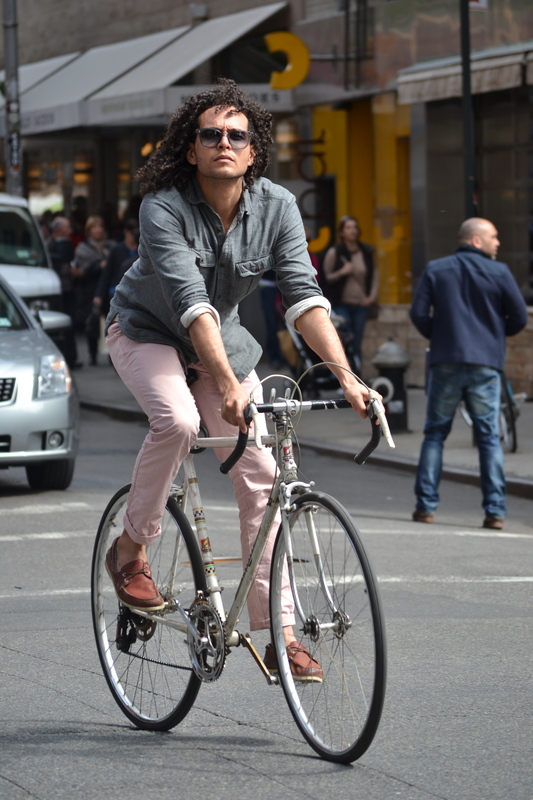 The white pants finish the transition from dark to light. On the bottom the color scheme comes full circle with the navy heels. Great color interaction in this outfit. 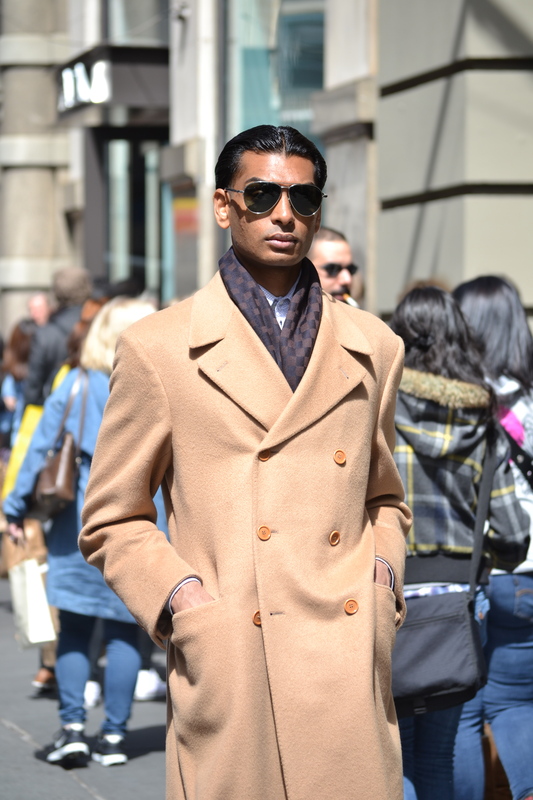 The men's overcoat is a versatile item to have in a wardrobe. Not only does it keep you warm and dry, but it also allows you to wear just about anything underneath. 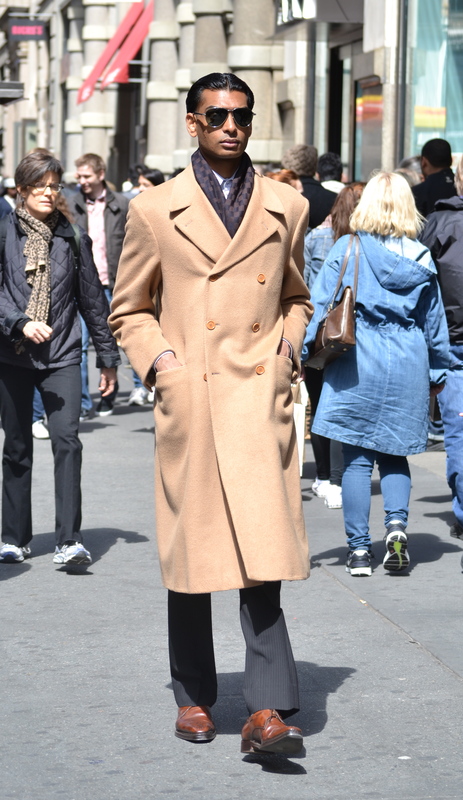 This gentleman wears his camel hair overcoat with black, pinstripe dress pants and brown leather shoes. Around his neck he wears a dark colored, checkered scarf. 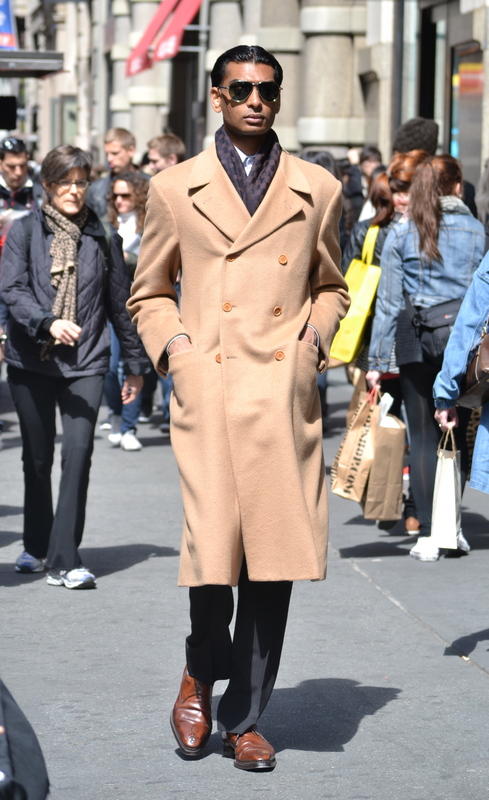 The rest of him is hidden underneath the long, but very classy coat. 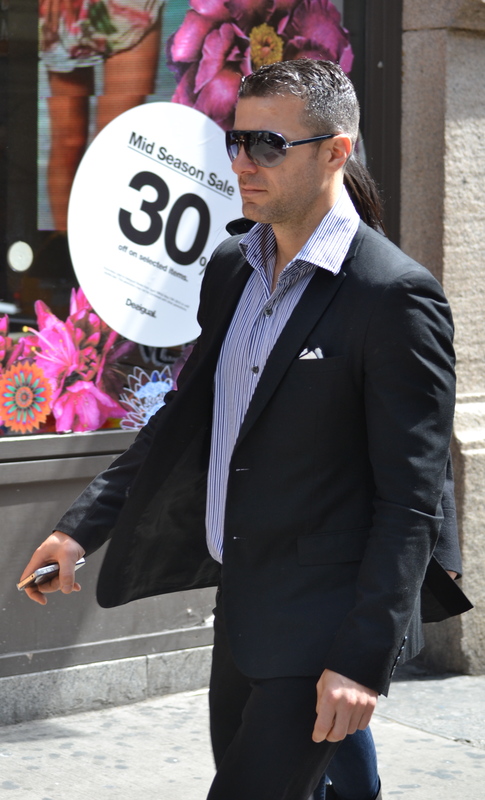 The hands in the pockets and dark aviators, creates a very suave appearance. I absolutely love this outfit. From the interplay of colors and patterns, to the skin left exposed, it certainly is a lot to take in, but well worth it. The high waisted, lace capri pants are amazing. They are cut at the right length, as to not interfere with the gold glitter covered shoes. The black floral tank, leaves a small sliver of midriff exposed and its low cut neck shows off a generous amount of skin, without being inappropriate. The black and white striped, wrap jacket adds an intense pattern to the outfit but works well with the other colors. The golden accessories are a great addition to this outfit and go extremely well with the gold shoes. The medallion on its long chain, both in gold, is a great length when paired with the tank and jacket. The gold spiked bracelet adds a punk chic aspect to the outfit, while doubling as a weapon. 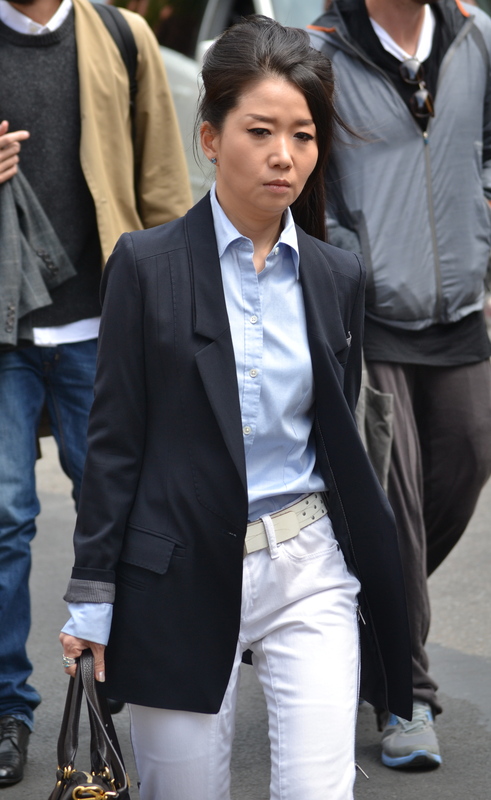 The oversized sunglasses are a great way to keep her intentions and expressions shrouded in mystery. 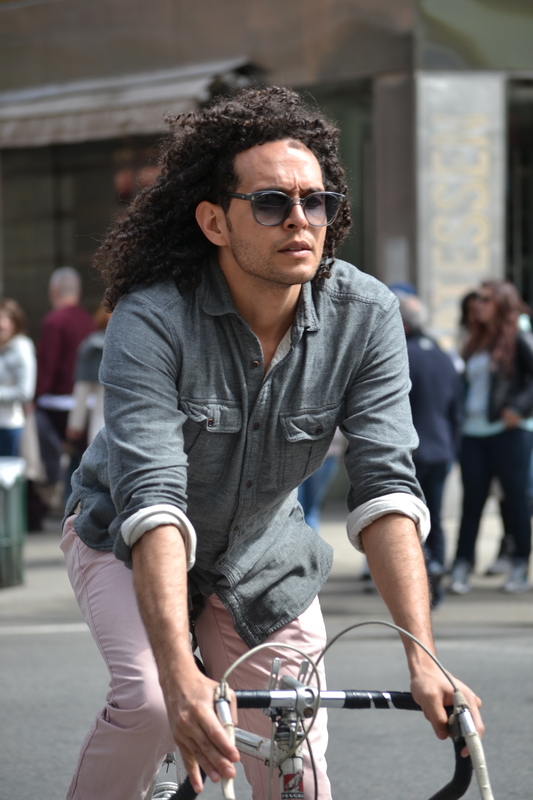 A pair of nicely fitted black jeans are great for when you want to feel casual and look formal. If you pair them with with black shoes and a black blazer it looks very clean. A light colored shirt and pocket square help to give the outfit some depth.